Other sizes are available, just give us a call with your size requirements. Get your oxygen absorbers to preserve the food your. 1 - 11 pieces $2.69 ea. 12 - 24 pieces $2.19 ea. 25 - 49 pieces $1.75 ea. 50 - 149 pieces $1.65 ea. 1 - 11 pieces $2.79 ea. 12 - 24 pieces $2.29 ea. 25 - 49 pieces $1.95 ea. 50 - 149 pieces $1.75 ea. 1 - 4 pieces $15.99 ea. 5 - 9 pieces $13.95 ea. 1 - 4 pieces $26.95 ea. 5 - 9 pieces $23.95 ea. 1 - 4 pieces $13.95 ea. 5 - 9 pieces $11.95 ea. 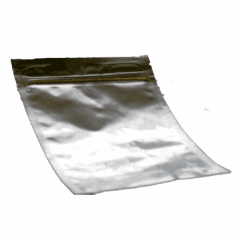 A Mylar bag in its basic form, is a CLEAR material made from polyester resin.and is used by a large number of companies and for many different applications. 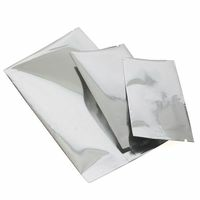 Many of the greeting card stores sell Mylar products such as Balloons. 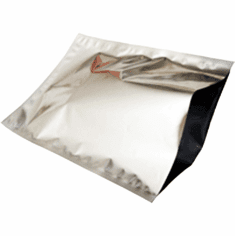 The most popular use of Mylar bags is evident in the food Industry. Many manufacturing companies require certain types of food packaging that seals these foods so that moisture or air does not get into the food. The food is packaged with oxygen and moisture removed and the bag is heat sealed to preserve the produce for an indefinite period of time. This type of food preservation is now available to the general public ,through the use of Mylar Bags and Oxygen Absorbers. Polyester film, (mylar) when laminated to aluminum foil provides additional barrier properties and higher puncture resistance than any metallized polyester structure. An aluminum foil layer acts like a FLEXIBLE can providing the best possible barrier properties. 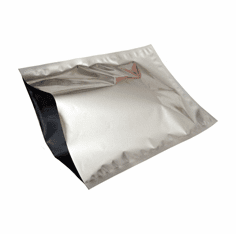 These Zip and non-sip lock Mylar bags are used for food and water storage is a convenient way to food to avoid contamination. It will help keep out water, rodents and bugs. If the bag is The Non-Zip Lock Mylar Bag it can be sealed with a ordinary clothes iron or you may purchase a Heat Sealer Here. If a sealed Mylar Plastic Bag is used along with an oxygen absorber, you can expect protection from oxygen and moisture as well. 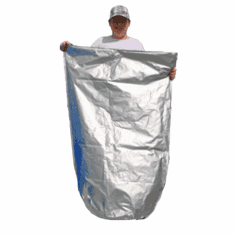 The Benefits of using Mylar are truly endless. * Notice;On Special Free Shipping Item Returns,Actual Shipping charges will be deducted from customer refunds on any returned Free shipping item.Customer is responsible for shipping charges for delivery and return of the item.